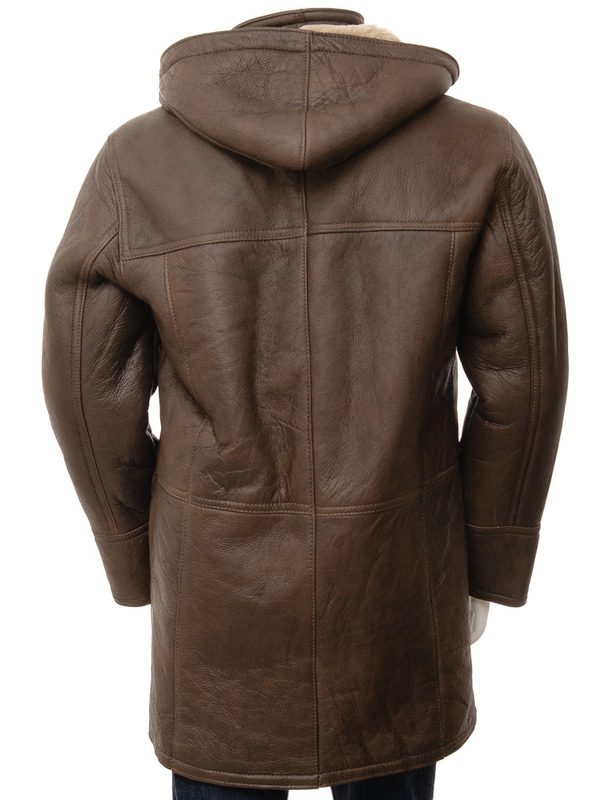 The sheepskin duffle coat in brown is an iconic garment. It combines heritage styling with an natural material that is fantastically good in the winter months. 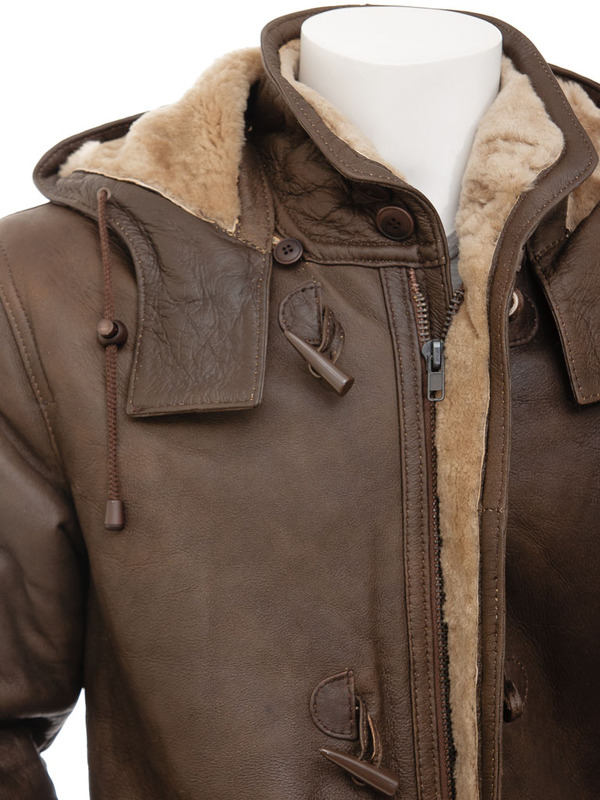 The warmth of natural sheep skin is unrivalled by synthetic materials plus it is hugely durable and full of character. 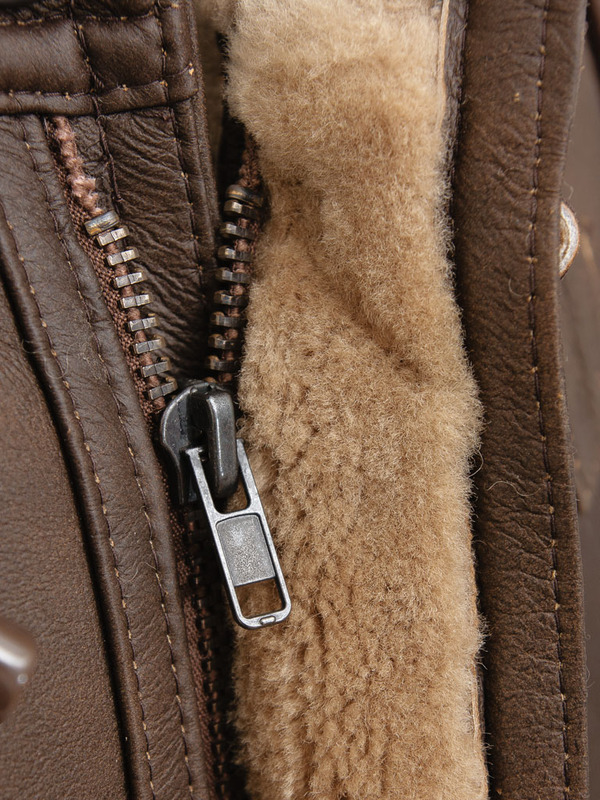 This design incorporates a chunky zip front with fly front fastened by the traditional horn shaped toggles. 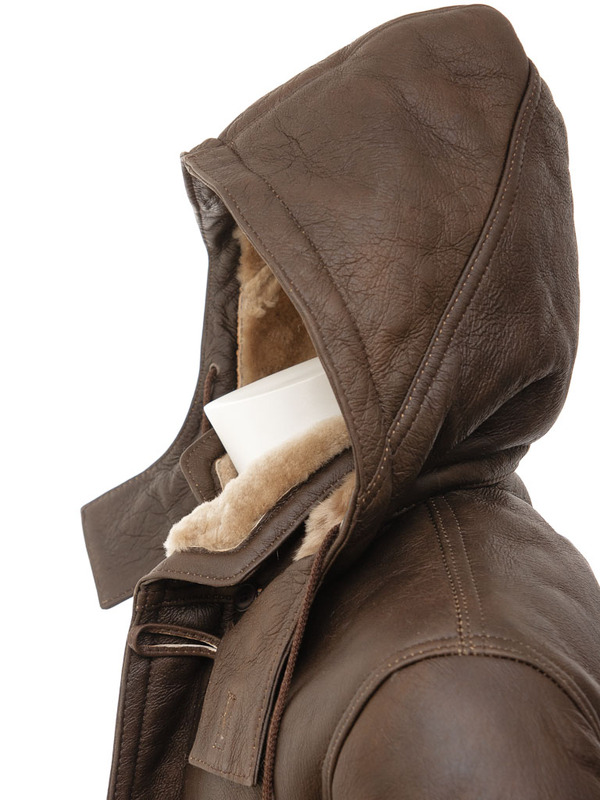 At the neck is a stand collar with two buttons at the throat plus a generous adjustable and detachable hood. There are two large flap pockets at the hip plus another zipped pocket inside. 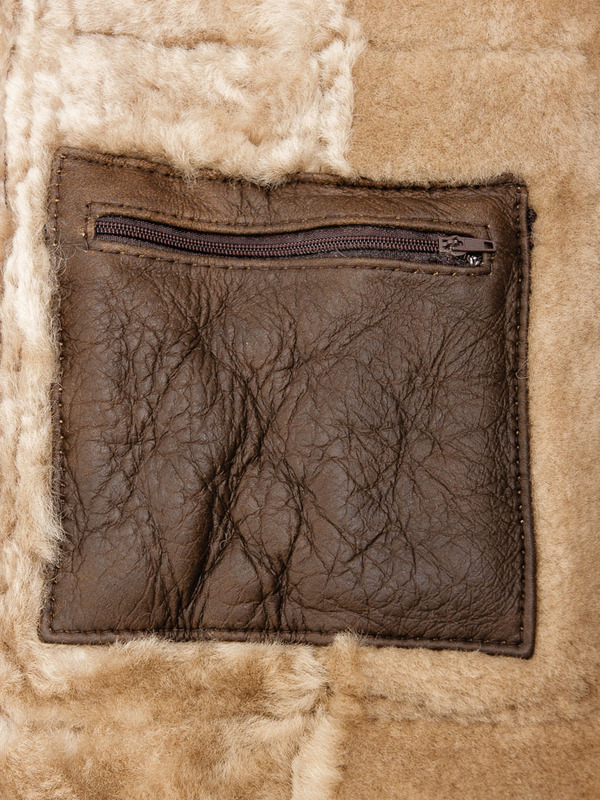 Of course, as is the case with all genuine sheepskin garments, the interior is the fleece side of the hide. 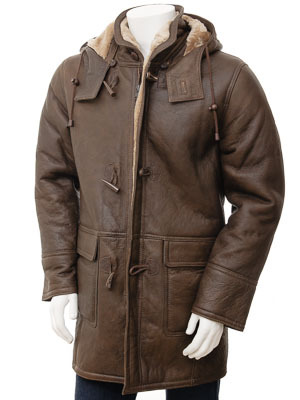 So whether for a trip into town or simply walking the dog, this is a coat that will keep you warm and comfortable in the harshest weather.